Aurelio Salon and Spa in New Jersey offers women’s hair coloring services at our Howell location conveniently located near Toms River, Jackson, Freehold, Brick, Manalapan, Marlboro, Wall or any other surrounding towns in Monmouth County or Ocean County NJ. Whether you are coming in for just a touch up, to cover your grey hair, or to completely change the color our hair coloring specialists can do it all. 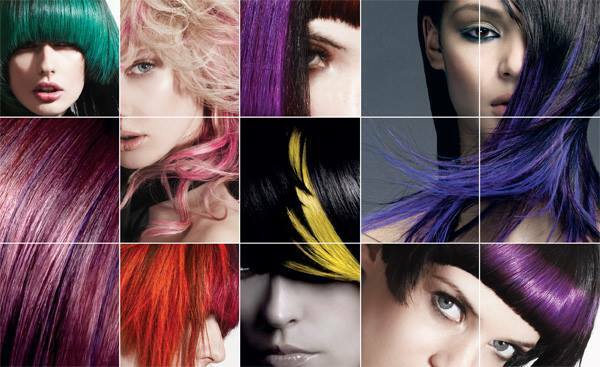 At our color bar you can order off our Color Bar Menu or you can order Al a Carte to create your own style. Customers can get a number of special hair coloring services at the color bar. We offer the “Hit Me” service where you get a shot of color to renew your hair color or just touch up the grey. You can choose to color your whole head or change the color to that you want your hair to be with our “I Can’t Believe I Colored the Whole Thing” Service. You can order and “Icing On the Cake” which is a color glaze that protects and adds shine to your hair. Aurelio Salon can also match your eyebrows to your color including lash tinting, brow tinting, or both. Aurelio Salon also offers corrective coloring services and can fix any coloring issue you may have with our “You Did What?” service. Consultations are needed in certain instances. There are a number of “Choices” with our Highlights and lowlights, that are available at Aurelio Salon, Should you go dark, light, or both? Should you do it all over or just in spots? Just tell us what your hair goals are and where you want your highlights and lowlights. It is the details that our hair colorists do that make your hair pop! Aurelio Salon offers Goldwell, and KMS, and Paul Mitchell color lines at the salons in Howell and Toms River. Goldwell offers a rainbow of inspired colors that bring together brilliance and shine with their professional hair color products. Create your custom color with the permanent color, demi-permanent color, fashion colors,and a blonding system. Ask our stylist to help you express yourself in living color! Learn more about the women’s hair coloring services we offer at Aurelio Salon to customers on our menu. You can find out more information about the hair styling services we offer to women or read about what’s new at Aurelio Salon. Read about events and rewards customer can receive or get insight about us on our blog. Gift the gift of beauty with one of our gift cards available in any denomination. Call Aurelio Salon in Howell at 732-303-0052 to learn more about the hair coloring services we offer to women.